Sentence spacing is the horizontal space between sentences in typeset text. It is a matter of typographical convention. Since the introduction of movable-type printing in Europe, various sentence spacing conventions have been used in languages with a Latin alphabet. These include a normal word space (as between the words in a sentence), a single enlarged space, and two full spaces. Until the 20th century, publishing houses and printers in many countries used additional space between sentences. There were exceptions to this traditional spacing method—some printers used spacing between sentences that was no wider than word spacing. This was French spacing—a term synonymous with single-space sentence spacing until the late 20th century. With the introduction of the typewriter in the late 19th century, typists used two spaces between sentences to mimic the style used by traditional typesetters. While wide sentence spacing was phased out in the printing industry in the mid-twentieth century, the practice continued on typewriters and later on computers. Perhaps because of this, many modern sources now incorrectly claim that wide spacing was created for the typewriter. The desired or correct sentence spacing is often debated but many sources now say additional space is not necessary or desirable. From around 1950, single sentence spacing became standard in books, magazines and newspapers, and the majority of style guides that use a Latin-derived alphabet as a language base now prescribe or recommend the use of a single space after the concluding punctuation of a sentence. However, some sources still state that additional spacing is correct or acceptable. The debate continues on the World Wide Web. Many people prefer double sentence spacing for informal use because that was how they were taught to type. There is a debate on which convention is more readable; the few recent direct studies conducted since 2002 have produced inconclusive results. Shortly after the invention of movable type, highly variable spacing was created that could create spaces of any size, and allowed for perfectly even justification. Early American, English, and other European typesetters' style guides (also known as printers' rules) specified spacing standards that were all essentially identical from the 18th century onwards. These guides—e.g., Jacobi in the UK (1890) and MacKellar, Harpel, and De Vinne (1866–1901) in the U.S.—indicated that sentences should be em-spaced, and that words should be 1/3 or 1/2 em-spaced (illustration right). The relative size of the sentence spacing would vary depending on the size of the word spaces and the justification needs. For most countries, this remained the standard for published work until the 20th century. 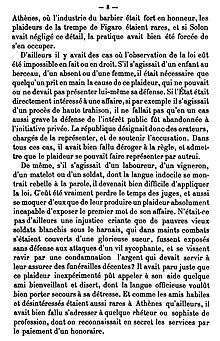 Yet, even in this period, there were publishing houses (notably in France) that used a standard word space between sentences—a technique called French spacing (illustration below). Mechanical type systems introduced near the end of the 19th century, such as the Linotype and Monotype machines, allowed for some variable sentence spacing similar to hand composition. Just as these machines revolutionized the mass production of text, the advent of the typewriter around the same time revolutionized the creation of personal and business documents. But the typewriters' mechanical limitations did not allow variable spacing—typists could only choose the number of times they pressed the space bar. Typists in some English-speaking countries initially learned to insert three spaces between sentences to approximate the wider sentence spacing used in traditional printing, but later settled on two spaces, a practice that continued throughout the 20th century. This became known as English spacing, and marked a divergence from French typists, who continued to use French spacing. In the early 20th century, some printers began using one and a half interword spaces (an "en quad") to separate sentences. This standard continued in use, to some extent, into the 1990s. Magazines, newspapers, and books began to adopt the single space convention in the United States in the 1940s and in the United Kingdom in the 1950s. Typists did not move to single spacing simultaneously. The average writer still relied on the typewriter to create text—with its inherent mechanical spacing limitations. Technological advances began affecting sentence spacing methods. In 1941, IBM introduced the Executive, a typewriter capable of proportional spacing—which had been used in professional typesetting for hundreds of years. This innovation broke the hold that the monospaced font had on the typewriter—reducing the severity of its mechanical limitations. By the 1960s, electronic phototypesetting systems ignored runs of white space in text. This was also true of the World Wide Web, as HTML normally ignores additional spacing, although in 2011 the CSS 2.1 standard officially added an option that can preserve additional spaces. In the 1980s, desktop publishing software provided the average writer with more advanced formatting tools. By the late 20th century, literature on the written word had begun to adjust its guidance on sentence spacing. Early positions on typography (the "arrangement and appearance of text") supported traditional spacing techniques in English publications. In 1954, Geoffrey Dowding's book, Finer Points in the Spacing and Arrangement of Type, underscored the widespread shift from a single enlarged em space to a standard word space between sentences. With the advent of the computer age, typographers began deprecating double spacing, even in monospaced text. In 1989, Desktop Publishing by Design stated that "typesetting requires only one space after periods, question marks, exclamation points, and colons", and identified single sentence spacing as a typographic convention. Stop Stealing Sheep & Find Out How Type Works (1993) and Designing with Type: The Essential Guide to Typography (2006) both indicate that uniform spacing should be used between words, including between sentences. More recent works on typography weigh in strongly. Ilene Strizver, founder of the Type Studio, says, "Forget about tolerating differences of opinion: typographically speaking, typing two spaces before the start of a new sentence is absolutely, unequivocally wrong." The Complete Manual on Typography (2003) states that "The typewriter tradition of separating sentences with two word spaces after a period has no place in typesetting" and the single space is "standard typographic practice". The Elements of Typographic Style (2004) advocates a single space between sentences, noting that "your typing as well as your typesetting will benefit from unlearning this quaint [double spacing] Victorian habit". Word spaces, preceding or following punctuation, should be optically adjusted to appear to be of the same value as a standard word space. If a standard word space is inserted after a full point or a comma, then, optically, this produces a space of up to 50% wider than that of other word spaces within a line of type. This is because these punctuation marks carry space above them, which, when added to the adjacent standard word spaces, combines to create a visually larger space. Some argue that the "additional" space after a comma and full point serves as a "pause signal" for the reader. But this is unnecessary (and visually disruptive) since the pause signal is provided by the punctuation mark itself. Early style guides for typesetting used a wider space between sentences than between words – "traditional spacing", as shown in the illustration to the right. During the 20th century, style guides commonly mandated two spaces between sentences for typewritten manuscripts, which were used prior to professionally typesetting the work. As computer desktop publishing became commonplace, typewritten manuscripts became less relevant and most style guides stopped making distinctions between manuscripts and final typeset products. In the same period, style guides began changing their guidance on sentence spacing. The 1969 edition of the Chicago Manual of Style used em spaces between sentences in its text; by the 2003 edition it had changed to single sentence spacing for both manuscript and print. By the 1980s, the United Kingdom's Hart's Rules (1983) had shifted to single sentence spacing. Other style guides followed suit in the 1990s. Soon after the beginning of the 21st century, the majority of style guides had changed to indicate that only one word space was proper between sentences. Modern style guides provide standards and guidance for the written language. These works are important to writers since "virtually all professional editors work closely with one of them in editing a manuscript for publication". Late editions of comprehensive style guides, such as the Oxford Style Manual (2003) in the United Kingdom and the Chicago Manual of Style (2010) in the United States, provide standards for a wide variety of writing and design topics, including sentence spacing. The majority of style guides now prescribe the use of a single space after terminal punctuation in final written works and publications. A few style guides allow double sentence spacing for draft work, and the Gregg Reference Manual makes room for double and single sentence spacing based on author preferences. Web design guides do not usually provide guidance on this topic, as "HTML refuses to recognize double spaces altogether". These works themselves follow the current publication standard of single sentence spacing. The European Union's Interinstitutional Style Guide (2008) indicates that single sentence spacing is to be used in all European Union publications—encompassing 23 languages. For the English language, the European Commission's English Style Guide (2010) states that sentences are always single-spaced. The Style Manual: For Authors, Editors and Printers (2007), first published in 1966 by the Commonwealth Government Printing Office of Australia, stipulates that only one space is used after "sentence-closing punctuation" and that "Programs for word processing and desktop publishing offer more sophisticated, variable spacing, so this practice of double spacing is now avoided because it can create distracting gaps on a page." National languages not covered by an authoritative language academy typically have multiple style guides—only some of which may discuss sentence spacing. This is the case in the United Kingdom. The Oxford Style Manual (2003) and the Modern Humanities Research Association's MHRA Style Guide (2002) state that only single spacing should be used. In Canada, both the English and French language sections of the Canadian Style, A Guide to Writing and Editing (1997), prescribe single sentence spacing. In the United States, many style guides—such as the Chicago Manual of Style (2003)—allow only single sentence spacing. The most important style guide in Italy, Il Nuovo Manuale di Stile (2009), does not address sentence spacing, but the Guida di Stile Italiano (2010), the official guide for Microsoft translation, tells users to use single sentence spacing "instead of the double spacing used in the United States". Some languages, such as French and Spanish, have academies that set language rules. Their publications typically address orthography and grammar as opposed to matters of typography. Style guides are less relevant for such languages, as their academies set prescriptive rules. For example, the Académie française publishes the Dictionnaire de l'Académie française for French speakers worldwide. The 1992 edition does not provide guidance on sentence spacing, but is single-sentence-spaced throughout—consistent with historical French spacing. The Spanish language is similar. The most important body within the Association of Spanish Language Academies, the Real Academia Española, publishes the Diccionario de la Lengua Española, which is viewed as prescriptive for the Spanish language worldwide. The 2001 edition does not provide sentence spacing guidance, but is itself single sentence spaced. The German language manual Empfehlungen des Rats für Deutsche Rechtschreibung ("Recommendations of the Council for German Orthography") (2006) does not address sentence spacing. The manual itself uses one space after terminal punctuation. Additionally, the Duden, the German language dictionary most commonly used in Germany, indicates that double sentence spacing is an error. A few reference grammars address sentence spacing, as increased spacing between words is punctuation in itself. Most do not. Grammar guides typically cover terminal punctuation and the proper construction of sentences—but not the spacing between sentences. Moreover, many modern grammar guides are designed for quick reference and refer users to comprehensive style guides for additional matters of writing style. For example, the Pocket Idiot's Guide to Grammar and Punctuation (2005) points users to style guides such as the MLA Style Manual for consistency in formatting work and for all other "editorial concerns". The Grammar Bible (2004) states that "The modern system of English punctuation is by no means simple. A book that covers all the bases would need to be of considerable breadth and weight and anyone interested in such a resource is advised to consult the Chicago Manual of Style." In the computer era, spacing between sentences is handled in several different ways by various software packages. Some systems accept whatever the user types, while others attempt to alter the spacing, or use the user input as a method of detecting sentences. Computer-based word processors, and typesetting software such as troff and TeX, allow users to arrange text in a manner previously only available to professional typesetters. The text editing environment in Emacs uses a double space following a period to identify the end of sentences unambiguously; the double space convention prevents confusion with periods within sentences that signify abbreviations. How Emacs recognizes the end of a sentence is controlled by the settings sentence-end-double-space and sentence-end. The vi editor also follows this convention; thus, it is relatively easy to manipulate (jump over, copy, delete) whole sentences in both emacs and vi. The Unix typesetter program troff uses two spaces to mark the end of a sentence. This allows the typesetter to distinguish sentence endings from abbreviations and to typeset them differently. Early versions of troff, which only typeset in fixed width fonts, would automatically add a second space between sentences, which were detected based on the combination of terminal punctuation and a line feed. Microsoft Word does not treat sentences differently by default, but the grammar checking can be set to prefer a specific number of spaces between sentences. On some modern touch-screen platforms, including Android and iOS, typing two spaces in a row is automatically interpreted to mean the end of a sentence, and a period is automatically inserted. However, only one space is retained. Multiple spaces are eliminated by default in most World Wide Web content, regardless of whether they are associated with sentences or not. There are options for preserving spacing, such as the CSS white-space property, and the <pre> tag. Twitter retains extra spaces in user input on their website. HTML also includes several other space entities which are not collapsed, such as an em space, an en space, and a non-breaking space. Some unicode space characters are also not collapsed on the web. James Felici, author of the Complete Manual of Typography, says that the topic of sentence spacing is "the debate that refuses to die ... In all my years of writing about type, it's still the question I hear most often, and a search of the web will find threads galore on the subject". This subject is still widely debated today. Many people are opposed to single sentence spacing for various reasons. Some state that the habit of double spacing is too deeply ingrained to change. Others claim that additional space between sentences improves the aesthetics or readability of text. Proponents of double sentence spacing also state that some publishers may still require double-spaced manuscript submissions from authors. A key example noted is the screenwriting industry's monospaced standard for screenplay manuscripts, Courier, 12-point font, although some works on screenwriting indicate that Courier is merely preferred – proportional fonts may be used. Some reliable sources state simply that writers should follow their particular style guide, but proponents of double spacing caution that publishers' guidance takes precedence, including those that ask for double sentence spaced manuscripts. One of the most popular arguments against wider sentence spacing is that it was created for monospaced fonts of the typewriter, and is no longer needed with modern proportional fonts. However, proportional fonts existed together with wide sentence spacing for centuries before the typewriter, and remained for decades after its invention. When the typewriter was first introduced, typists were most commonly taught to use three spaces between sentences. This gradually shifted to two spaces, while the print industry remained unchanged in its wide em-spaced sentences. Some sources now state it is acceptable for monospaced fonts to be single spaced today, although other references continue to specify double spacing for monospaced fonts. The double space typewriter convention has been taught in schools in typing classes, and that remains the practice in many cases. Some voice concerns that students will later be forced to relearn how to type. Most style guides indicate that single sentence spacing is proper for final or published work today, and most publishers require manuscripts to be submitted as they will appear in publication—single sentence spaced. Writing sources typically recommend that prospective authors remove extra spaces before submitting manuscripts, although other sources state that publishers will use software to remove the spaces before final publication. Claims abound regarding the legibility and readability of the single and double sentence spacing methods—by proponents on both sides. Supporters of single spacing assert that familiarity with the current standard in books, magazines, and the Web enhances readability, that double spacing looks strange in text using proportional fonts, and that the "rivers" and "holes" caused by double spacing impair readability. Proponents of double sentence spacing state that the extra space between sentences enhances readability by providing clearer breaks between sentences and making text appear more legible, particularly noting the very small visual difference between a dot and a comma. However, typographic opinions are typically anecdotal with no basis in evidence. "Opinions are not always safe guides to legibility of print", and when direct studies are conducted, anecdotal opinions—even those of experts—can turn out to be false. Text that seems legible (visually pleasing at first glance) may be shown to actually impair reading effectiveness when subjected to scientific study. Direct studies on sentence spacing include those by Loh, Branch, Shewanown, and Ali (2002); Clinton, Branch, Holschuh, and Shewanown (2003); and Ni, Branch, and Chen (2004), with results favoring neither single, double, nor triple spacing. The 2002 study tested participants' reading speed for single and double sentence spaced passages of on-screen text. The authors stated that "the 'double space group' consistently took longer time to finish than the 'single space' group" but concluded that "there was not enough evidence to suggest that a significant difference exists". The 2003 and 2004 studies analyzed on-screen single, double, and triple spacing. In both cases, the authors stated that there was insufficient evidence to draw a conclusion. Ni, Branch, Chen, and Clinton conducted a similar study in 2009 using identical spacing variables. The authors concluded that the "results provided insufficient evidence that time and comprehension differ significantly among different conditions of spacing between sentences". ↑ University of Chicago Press 2003, Chicago Manual of Style. p. 243; Einsohn 2006. p. 113; Shushan and Wright 1989. p. 34. ↑ Languages with Sanscrit, Cyrillic, cuneiform, hieroglyphics, Chinese, and Japanese characters, among others, are not covered in the scope of this article. Handwriting is also not covered. ↑ In the 1990s, some print and Web sources began referring to double sentence spacing as "French spacing", leading to some ambiguity with the term. See for example, Eckersley et al. 1994. p. 46, and Haley 2006. 1 2 3 Bringhurst 2004. p. 28. ↑ Felici 2003. p. 80; Fogarty 2008. p. 85; Jury 2009. p. 56; Strizver 2010; Walsh 2004. p. 3; Williams 2003. pp. 13–14. ↑ Williams 2003. pp. 13–14. This refers to professionally published works, as it is possible for individual authors to publish works through desktop publishing systems. Williams states, "I guarantee this: never in your life have you read professionally set text printed since 1942 that used two spaces after each period." See also, Felici 2003, p. 81; Strizver 2010; Weiderkehr 2009; Williams 1995. p. 4. ↑ Fogarty, Mignon (2008). Grammar Girl's Quick and Dirty Tips for Better Writing. New York: Holt Paperbacks. p. 85. ISBN 978-0-8050-8831-1. ; Kristi Leonard; et al. (1 February 2003). "The Effects of Computer-based Text Spacing on Reading Comprehension and Reading Rate". IVLA. Retrieved 1 February 2010. 1 2 3 Strizver 2010. ↑ Lloyd and Hallahan 2009. "During times when many disciplines that recommend the APA's Publication Manual [6th ed., 2009] are advocating evidence-based decisions, it's noteworthy, we think, that these discussions of the rationale for using two spaces at the end of sentences (and after colons) do not appear to be based on scientific examination of the hypothesis that two spaces makes manuscripts more readable." ↑ DeVinne 1901. p. 142. ↑ MacKellar 1885; Harpel 1870. p. 19; DeVinne 1901. p. 78. ↑ Chicago University Press 1911. p. 101. Variable-spaced text (professionally typeset) is unlikely to result in a sentence space exactly twice the size of a word space (which can be seen with a typewriter or monospaced font). Variables such as whether a 1/3 or 1/2 word space is used, and whether the text is justified or unjustified, will vary the difference between a sentence space and word space. ↑ Felici 2009. Felici illustrates that there are other examples of standard single word spaces used for sentence spacing in this period. 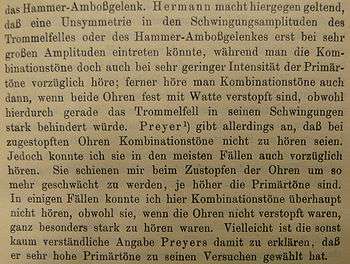 ↑ Dodd 2006. p. 73; Mergenthaler Linotype 1940. 1 2 One or two spaces after a period? How about three? ↑ Jury 2009. p. 58. This primarily refers to the United States and Great Britain. ↑ Adams, et al. 1996. p. 24. Adams, Faux, and Rieber say, "For most composition, the em quad is used to indent the first line of a paragraph, the en quad is used to separate sentences, and the 3-em space is placed between words." An en is half an em and a 3-em space is a third of an em, so the space between sentences would be 1.5 times the space between words. ↑ Felici 2009; University of Chicago Press 2009; Williams 2003. p. 14. 1 2 Wershler-Henry 2005. pp. 254–255. ↑ Lupton 2004. p. 165. HTML normally ignores all additional horizontal spacing between text. ↑ How many spaces at the end of a sentence? One or two? ↑ "Cascading Style Sheets Level 2 Revision 1 (CSS 2.1) Specification". 7 June 2011. 16.6. pre-wrap: This value prevents user agents from collapsing sequences of white space. ↑ Jury 2009. p. 57. ↑ American Medical Association 2007. p. 917. ↑ Shushan and Wright 1989. p. 34. ↑ Craig 2006. p. 90; Spiekermann and Ginger 1993, p. 123. ↑ Felici 2003. pp. 80–81. ↑ Jury 2004. p. 92. ↑ De Vinne 1901; University of Chicago Press 1911; Hart 1893. ↑ Garner, Newman and Jackson 2006; "So I ask you [authors]: space twice after every period", Nina K. Hoffman, "Typesetters Blues", in Rusch and Smith 1990, p. 113. ↑ For example, the 15th Edition of the Chicago Manual of Style states that "A single character space, not two spaces, should be left after periods at the ends of sentences (both in manuscript and in final, published form) and after colons. University of Chicago Press 2003 Chicago Manual of Style. p. 61. ↑ University of Chicago Press 1969 Manual of Style (commonly referred to as the Chicago Manual of Style, and titled thus in recent editions (first edition published in 1906.) The 1969 edition of the Manual of Style shows em spacing after sentences in the manuscript example (page 41), but single spacing in the typset example (p. 73). 1 2 3 Fogarty 2008. p. 85; Leonard, et al. 2009. ↑ Lutz and Stevenson 2005. p. viii. ↑ Ritter 2003. The 2003 edition of the Oxford Style Manual combined the Oxford Guide to Style (first published as Horace Hart's Rules for Compositors and Readers at the University Press, Oxford in 1893) and the Oxford Dictionary for Writers and Editors (first published as the Authors' and Printers' Dictionary in 1905) Preface. ↑ University of Chicago Press Chicago Manual of Style 2010. ↑ Sabin 2005. pp. 5–6. ↑ Lupton 2004. p. 165. ↑ Publications Office of the European Union 2008. (1st edition published in 1997.) This manual is "obligatory" for all those in the EU who are involved in preparing EU documents and works . It is intended to encompass 23 languages within the European Union . ↑ European Commission Directorate-General for Translation. p. 22. (1st edition published in 1982.) "Note in particular that ... stops (. ? ! : ;) are always followed by only a single (not a double) space." ↑ John Wiley & Sons Australia 2007. p. 153. The Commonwealth is an organization of 54 English-speaking states worldwide. ↑ Ritter 2003 Oxford Style Manual, 2003. p. 51. (First published as the MHRA Style Book in 1971.) "In text, use only a single word space after all sentence punctuation. "; Modern Humanities Research Association 2002. p. 6. ↑ Dundurn Press 1997. p. 113. (1st edition published in 1987. ); Public Works and Government Services of Canada 2010. p. 293. "17.07 French Typographical Rules—Punctuation: Adopt the following rules for spacing with punctuation marks. [table] Mark: Period, before: none, after: 1 space." ↑ University of Chicago Press 2003 Chicago Manual of Style. p. 61. "2.12 A single character space, not two spaces, should be left after periods at the ends of sentences (both in manuscript and in final, published form)." p. 243. "6.11 In typeset matter, one space, not two (in other words, a regular word space), follows any mark of punctuation that ends a sentence, whether a period, a colon, a question mark, an exclamation point, or closing quotation marks." p. 243. "6.13 A period marks the end of a declarative or an imperative sentence. It is followed by a single space." ↑ Lesina 2009. (1st edition published in 1986.) "Prefazione: Il manuala intende fornire una serie di indicazioni utili per la stesura di testi di carattere non inventive, quali per esempio manuali, saggi, monografie, relazioni professionali, tesi di laurea, articoli per riviste, ecc." (Trans: "[S]tyle manual for academic papers, monographs, professional correspondence, theses, articles, etc.) Preface; Carrada 2010. "Roberto Lesina, Il nuovo manuale di stile, Zanichelli 2009. L'unico vero manuale di stile italiano, di cui nessun redattore può fare a meno". (Trans: "The only real Italian style guide, a must-have for any writer".) The 2009 edition is itself single sentence spaced. ↑ Académie française 1992. French is spoken in 57 countries and territories throughout the world, including Europe, North America, and Francophone Africa. Qu'est-ce que la Francophonie? ↑ Real Academia Española 2001. p. 2. ↑ Council for German Orthography 2010. ↑ Bibliographisches Institut AG 2010. ↑ Bibliographisches Institut AG 2010. The Duden was the primary orthography and language guide in Germany until the German orthography reform of 1996 created a multinational council for German orthography for German-speaking countries—composed of experts from Germany, Austria, Liechtenstein and Switzerland. The current version of the Duden reflects the most recent opinions of this council. ↑ Bringhurst 2004. p. 30. Bringhurst implies that additional spacing after terminal punctuation is redundant when combined with a period, question mark, or exclamation point. Other sources indicate that the function of terminal punctuation is to mark the end of a sentence and additional measures to perform the same measures are unnecessary. ↑ Baugh 2005. p. 200; Cutts 2009. p. 79; Garner 2009. p. 935; Lester 2005; Loberger 2009. p. 158; Stevenson 2005. p. 123; Straus 2009. p. 52; Strumpf. p. 408; Taggart 2009. ↑ Baugh 2005. p. 200; Hopper 2004; Stevenson 2005. p. 123. ↑ Fogarty 2008. p. 85; Loberger 2009. p. 158. ↑ Stevenson 2005. pp. xvi, 123. ↑ Strumpf 2004. p. 408. ↑ Felici 2003. 80; Fogarty 2008. p. 85; Fogarty 2009. p. 78; Fondiller and Nerone 2007. 93; Garner, Newman and Jackson 2006. 83; Modern Language Association 2009 77; Straus 2009. p. 52. ↑ Stallman, Richard. "The GNU Emacs Manual". Free Software Foundation. Retrieved 25 November 2011. ↑ Ossana, Joseph. "Nroff/Troff User's Manual" (PDF). ↑ Ossanna, Joseph F. (11 October 1976). NROFF/TROFF Users's Manual. Murray Hill, New Jersey: Bell Laboratories. p. 12. Retrieved 3 August 2015. ↑ Williams 95. p. 1; Sabin 2005. pp. 5–6. ↑ Trotter 1998. p. 112. Trottier refers to Courier as the industry "standard". ↑ Russin and Downs 2003. p. 17. The authors state that "Courier 12-point is preferred, although New York, Bookman, and Times will do". Allen 2001Moira Anderson Allen suggests that publishers are more interested in readable fonts as opposed to maintaining a fixed-width font standard. ↑ Loberger 2009. p. 158; Stevenson 2005. p. 123; Sambuchino 2009. p. 10. ↑ Bringhurst 2004. p. 28; Felici 2003. p. 80; Fogarty 2008. p. 85; Jury 2009. p. 56; Shushan and Wright 1989. p. 34; Smith 2009; Straus 2009. p. 52; Strizver 2010; Walsh 2004. p. 3; Williams 2003. p. 13. ↑ Garner, Newman, and Jackson 2006. "Continue the custom [of double spacing] only if you use a typewriter or the Courier font." ↑ Lloyd and Hallahan 2009. ↑ University of Chicago Press 2010. p. 60; Lutz 2005. p. 200; Modern Language Association 2009. pp. 77–78. ↑ Modern Humanities Research Association 2002. p. 6; Sabin 2005. p. 5; Felici 2003. p. 81; Fogarty also stated in Grammar Girl's Quick and Dirty Tips for Better Writing that numerous page designers have contacted her, stating that the presence of two spaces between sentences requires them to edit the pages to remove the extra spaces Fogarty 2008. p. 85. ↑ University of Chicago Press 2010. p. 83; The 16th edition of the Chicago Manual of Style instructs editors to remove extra spaces between sentences when preparing a manuscript for publication; also Weiderkehr 2009. ↑ Williams 2003. 13; Smith 2009. ↑ Jury 2004. 92; Williams 1995. ↑ Wheildon 1995. p. 13. ↑ Tinker 1963. p. 50. ↑ Tinker 1963. pp. 88, 108, 127, 128, 153; Wheildon 1995. pp. 8, 35. ↑ Tinker 1963. pp. 50, 108, 128. A useful example is the Helvetica font, an ubiquitous font that is considered to be visually pleasing in the construction and viewing of its characters, but has been found to impair reading effectiveness (readability). See Squire 2006. p. 36. ↑ Leonard, et al. 2009. ↑ Loh et al., 2002. p. 4. ↑ Clinton 2003. The study did not find "statistically significant differences between reading time of single and double space[d] passages". ↑ Ni et al. 2009. pp. 383, 387, 390. This study "explored the effects of spacing after the period on on-screen reading tasks through two dependent variables, reading time and reading comprehension". Académie française (1992). Dictionnaire de l'Académie française: Tome 1, A–Enz (in French) (Neuvième ed.). Paris: Artheme Fayard. 830 pages. ISBN 2-7433-0407-3. Adams, J. Michael; Faux, David D.; Rieber, Lloyd J. (1996). Printing Technology (4th ed.). Delmar Publishers. ISBN 0827369077. Allen, Moira Anderson (2001). "A Quick Guide to Manuscript Format". Retrieved 22 October 2013. This article originally appeared on Inkspot. Editor of editor of Writing-World.com, the author has written more than 300 published articles. Her books on writing include "Starting Your Career as a Freelance Writer (2003, 2005 reprint)", "The Writer's Guide to Queries, Pitches and Proposals (2001)" and "Writing to Win: The Colossal Guide to Writing Contests (2010)". American Medical Association (2007). AMA Manual of Style: A Guide for Authors and Editors (10th ed.). New York: Oxford University Press. 1032 pages. ISBN 978-0-19-517633-9. American Political Science Association Committee on Publications (August 2006). Style Manual for Political Science (PDF). Washington, DC: American Political Science Association. ISBN 1-878147-33-1. Retrieved 14 May 2010. American Psychological Association (2010). Publication Manual of the American Psychological Association (6th ed.). American Psychological Association. 272 pages. ISBN 978-1-4338-0561-5. American Psychological Association (July 2009). "Corrections to the First Printing of the Publication Manual of the American Psychological Association" (PDF). American Psychological Association. Retrieved 1 February 2010. American Psychological Association. "Corrected Sample Papers" (PDF). American Psychological Association. Retrieved 31 January 2010. American Psychological Association (8 October 2009). "Errors in APA Style Rules, Clarifications" (PDF). Corrections to the First Printing of the Publication Manual of the American Psychological Association, Sixth Edition (July 2009). American Psychological Association. Retrieved 27 April 2010. American Sociological Association. American Sociological Association Style Guide (2nd ed.). Washington, D.C.: American Sociological Association. 1997. ISBN 0-912764-29-5. Association of Legal Writing Directors (ALWD) and Darby Dickerson (2006). ALWD Citation Manual (3rd ed.). New York: Aspen Publishers. 608 pages. ISBN 0-7355-5571-0. Associated Press, ed. (2004). The Associated Press Stylebook (43rd ed.). New York: Basic Books. ISBN 0-465-01262-0. Baugh, L. Sue (2005). Essentials of English Grammar: The Quick Guide to Good English (3rd ed.). New York: McGraw Hill. 176 pages. ISBN 0-07-145708-9. Bibliographisches Institut AG (2010). "Über Duden" (in German). Retrieved 19 January 2010. Bibliographisches Institut AG (2010). "Duden – Deutsche Sprache" (in German). Retrieved 19 January 2010. Bishop, Henry Gold (1895). The Practical Printer: A Book of Instruction for Beginners; a Book of Reference for the More Advanced (3rd ed.). Albany. Black, Allison; Watts, Darren (1993). "Proofreading Monospaced and Proportionally-spaced Typefaces". Visible Language. Visible Language. 27 (3): 364–377. Bricker, Dave (27 Mar 2013). "How Many Spaces After a Period? Ending the Debate". Retrieved 29 Mar 2013. Bringhurst, Robert (2004). The Elements of Typographic Style (3.0 ed.). Washington and Vancouver: Hartley & Marks. 352 pages. ISBN 0-88179-206-3. Campbell, A.J. ; Marchetti, F.M. ; Mewhort, D.J.K. (1981). "Reading Speed and Text Production: A Note on Right-Justification Techniques". Ergonomics. Taylor & Francis. 24 (8): 633–640. doi:10.1080/00140138108924885. Carrada, Luisa (2010). "Il mio scaffale: i libri più utili per lo scrittore professionale". Il Mestiere di Scrivere (in Italian). Retrieved 19 May 2010. Christian, Darrell; Jacobsen, Sally; Minthorn, David, eds. (2009). The AP [Associated Press] Stylebook and Briefing on Media Law (44th ed.). Philadelphia: Basic Books. 416 pages. ISBN 978-0-465-01262-6. Clinton, Gregory; Branch, Robert Maribe; Holschuh, D.; Shewanown, S. (2003). "Online Reading Performance Time as a Function of Text Layout: Roundtable Paper Presented at the 2003 AECT Leadership & Technology International Convention, Anaheim, Ca". Columbia Law Review; Harvard Law Review; University of Pennsylvania Law Review; Yale Law review, eds. (2005). The Bluebook: A Uniform System of Citation. Massachusetts: The Harvard Law Review Association. Council for German Orthography. "Deutsche Rechtschreibung" [German Orthography] (PDF) (in German). Retrieved 19 January 2010. Craig, James; Scala, Irene Korol (2006). Designing With Type: The Essential Guide to Typography (5th ed.). New York: Watson-Guptill. 176 pages. ISBN 0-8230-1413-4. Cutts, Martin (2009). Oxford Guide to Plain English (Third ed.). New York: Oxford University Press. ISBN 978-0-19-955850-6. De Vinne, Theodore Low (1901). The Practice of Typography: Correct Composition: A Treatise on Spelling Abbreviations, the Compounding and Division of Words, the Proper Use of Figures and Numerals, Italic and Capital Letters, Notes, Etc., With Observations on Punctuation and Proof-Reading (Second ed.). New York: Century Company. Dodd, Robin (2006). From Gutenberg to Open Type: An Illustrated History of Type from the Earliest Letterforms to the Latest Digital Fonts. Vancouver: Hartley & Marks. 192 pages. ISBN 0-88179-210-1. Dowding, Geoffrey (1995). Finer Points in the Spacing & Arrangement of Type (Revised ed.). Vancouver, BC: Hartley & Marks Publishers. 90 pages. ISBN 0-88179-119-9. Dundurn Press in Co-operation with Public Works and the Government Services Canada Translation Bureau (1997). The Canadian Style: A Guide to Writing and Editing. Toronto and Oxford: J. Kirk Howard. 312 pages. ISBN 1-55002-276-8. Eckersley, Richard; Ellertson, Charles M.; Angstaldt, Richard; Hendel, Richard (1994). Glossary of Typesetting Terms. University of Chicago Press. ISBN 0-226-18371-8. Economist (2005). The Economist Style Guide. London: Profile Books. 256 pages. ISBN 1-86197-916-9. Eijkhout, Victor (2008). TeX by Topic, A TeXnician's Reference (PDF). Lulu. pp. 185–188. ISBN 0-201-56882-9. Retrieved 15 March 2010. Einsohn, Amy (2006). The Copyeditor's Handbook: A Guide for Book Publishing and Corporate Communications (2nd ed.). Berkeley, Los Angeles, London: University of California Press. 574 pages. ISBN 978-0-520-24688-1. European Commission Directorate-General for Translation (April 2010). "English Style Guide: A Handbook for Authors and Translators in the European Commission" (PDF). European Commission. Retrieved 12 May 2010. Felici, James (2003). The Complete Manual of Typography. Berkeley, CA: Peachpit Press. 384 pages. ISBN 0-321-12730-7. Felici, James (24 August 2009). "To Double-Space or Not to Double-Space". CreativePro.com. Printingforless.com and CreativePro.com31 March 2010. Flinn, Denny Martin (1999). How Not to Write a Screenplay: 101 Common Mistakes Most Screenwriters Make. New York: Crown Publishing. 240 pages. ISBN 1-58065-015-5. Fogarty, Mignon (2008). Grammar Girl's Quick and Dirty Tips for Better Writing. New York: Holt Paperbacks. 240 pages. ISBN 978-0-8050-8831-1. Fogarty, Mignon (2009). The Grammar Devotional: Daily Tips for Successful Writing from Grammar Girl. New York: Holt Paperbacks. ISBN 978-0-8050-9165-6. Fondiller, Shirley; Nerone, Barbara J. (2007). Health Professionals Style Manual. New York: Springer Publishing. 152 pages. ISBN 0-8261-0207-7. Free Software Foundation (12 April 2010). "5.2 Commenting Your Work". GNU Coding Standards. Free Software Foundation17 May 2010. Garner, Bryan A. (2009). Garner's Modern American Usage (3rd ed.). Oxford: Oxford University Press. ISBN 978-0-19-538275-4. Garner, Bryan A.; Newman, Jeff; Jackson, Tiger (2006). The Redbook: A Manual on Legal Style (2nd ed.). Thompson West. 1008 pages. ISBN 978-0-314-16891-7. Haber, Ralph Norman; Haber, Lyn R. (1981). "Visual Components of the Reading Process". Visible Language. Visible Language. 15 (2): 147–182. Haley, Allan (June–July 2006). "Typographic Details". Dynamic Graphics. WebMediaBrands Inc. Retrieved 18 July 2010. Hart, Horace (1893). Hart's Rules for Compositors and Readers: Which are to be Observed in All Cases Where No Special Instructions are Given (First ed.). Oxford: Clarendon Press. Retrieved 24 May 2010. Hart, Horace (1983). "Hart's Rules for Compositors and Readers at the University Press, Oxford" (Thirty-ninth ed.). Oxford Editorial. Retrieved 24 May 2010. Harpel, Oscar (1870). Harpel's Typograph, or Book of Specimens Containing Useful Information, Suggestions and a Collection of Examples of Letterpress Job Printing Arranged for the Assistance of Master Printers, Amateurs, Apprentices, and Others. Cincinnati Press. Hartley, James (1980). "Spatial Cues in Text". Visible Language. Visible Language. 14 (1): 62–79. Hopper, Vincent F.; Gale, Cedric; Foote, Ronald C.; Griffith, B.W. (2004). A Pocket Guide to Correct Grammar (4th ed.). Barron's Educational Series. 208 pages. ISBN 0-7641-2690-3. Imprimerie nationale (1993). Lexique des règles typographiques en usage à l'Imprimerie nationale (in French) (3ème édition ed.). Imprimerie nationale. Jacobi, Charles Thomas (1890). Some Notes on Books and Printing; a Guide for Authors, Publishers, & Others (New & Enlarged ed.). London: C. Wittingham. Jury, David (2004). About Face: Reviving the Rules of Typography. Switzerland: Rotovision SA. 159 pages. ISBN 2-88046-798-5. Kolers, Paul A.; Duchinsky, Robert; Ferguson, Dennis C. (1981). "Eye Movement Measurement of Readability of CRT Displays". Human Factors. The Human Factors Society. 23 (5): 517–527. PMID 7319497. Korpela, Jukka (3 May 2005). "Guide to the Unicode Standard". Characters and Encodings. IT and Communication17 May 2010. Kouguell, Susan (2006). The Savvy Screenwriter: How to Sell Your Screenplay (and Yourself) Without Selling Out! (Revised & Expanded ed.). New York: St. Martin's Griffin. 288 pages. ISBN 978-0-312-35575-3. LeClercq, Terri (2007). Guide to Legal Writing Style (Fourth ed.). New York: Aspen Publishers. 144 pages. ISBN 978-0-7355-6837-2. Leonard, Kristi; et al. (10 October 2009). "The Effects of Computer-based Text Spacing on Reading Comprehension and Reading Rate". AECT1 February 2010. Lesina, Roberto (2009). Il Nuovo Manuale di Stile: Guida alla Redazione di Documenti, Relazioni, Articoli, Manuali, Tesi di Laurea (PDF) (in Italian) (2.0 ed.). Zanichelli. Retrieved 15 May 2010. Lester, Mark; Beason, Larry (2005). The McGraw Hill Handbook of English Grammar and Usage. New York: McGraw Hill. 304 pages. ISBN 978-0-07-144133-9. Lloyd, John Wills; Hallahan, Dan (10 November 2009). "Where's the Evidence to Justify Two Spaces?". Spacewaste. Wordpress.com4 April 2010. Loberger, Gordon; Shoup, Kate (2009). Webster's New World English Grammar Handbook (2nd ed.). Hoboken, NJ: Wiley Publishing. 408 pages. ISBN 978-0-470-41080-6. Loh, Christian Sebastian; Branch, Robert Maribe; Shewanown, Saun; Ali, Radwan (2002). "The Effect of Text Spacing After the Period on Time for On-Screen Reading Tasks". IVLA Book of Selected Readings: Selected Readings of the IVLA Annual Conference. IVLA. Lupton, Ellen (2004). Thinking with Type. New York: Princeton Architectural Press. 176 pages. ISBN 978-1-56898-448-3. Lutz, Gary; Stevenson, Diane (2005). The Writing Digest Grammar Desk Reference. Cincinnati, OH: Writer's Digest Books. ISBN 978-1-58297-335-7. Lynch, Patrick J.; Horton, Sarah (2008). Web Style Guide. New Haven and London: Yale University Press. 352 pages. ISBN 978-0-300-13737-8. MacKellar, Thomas (1885). The American Printer: A Manual of Typography, Containing Practical Directions for Managing all Departments of a Printing Office, As Well as Complete Instructions for Apprentices: With Several Useful Tables, Numerous Schemes for Imposing Forms in Every Variety, Hints to Authors, Etc. (Fifteenth – Revised and Enlarged ed.). Philadelphia: MacKellar, Smiths & Jordan. 390 pages. Mergenthaler Linotype Company (1940). Linotype Keyboard Operation: Methods of Study and Procedures for Setting Various Kinds of Composition on the Linotype. Brooklyn, N.Y: Mergenthaler Linotype Company. OCLC 3230264. Microsoft (2010). "Italian Style Guide: Microsoft Language Excellence". Microsoft Language Portal – Style Guide Download (in Italian) (1.0 ed.). Microsoft. Retrieved 11 May 2010. Microsoft. "Character design standards (5 of 10): Space Characters for Latin 1". Microsoft Typography. Microsoft. Retrieved 16 May 2010. Modern Humanities Research Association (2002). MHRA Style Guide: A Handbook for Authors, Editors, and Writers of Theses. Leeds, UK: Maney Publishing. 92 pages. ISBN 0-947623-62-0. Modern Language Association (15 January 2009). "How many spaces should I leave after a period or other concluding mark of punctuation?". Modern Language Association31 January 2010. Modern Language Association (2009). MLA Handbook for Writers of Research Papers (7th ed.). Modern Language Association of America. ISBN 978-1-60329-024-1. Ni, Xiaopeng; Branch, Robert Maribe; Chen, Kuan-Chung; Clinton, Gregory (2009). Sleeman, Phillip J, ed. "The Effects of Text Spacing on Screen Reading Time and Comprehension". International Journal of Instructional Media. 36 (4). North, A. J.; Jenkins, L. B. (1951). "Reading Speed and Comprehension as a Function of Typography". Journal of Applied Psychology. 35 (4): 225–8. doi:10.1037/h0063094. PMID 14861125. Osgood, Harry W. (1919). "A Method for Teaching Straight Matter Composition". Industrial-arts Magazine. 8 (2): 47–48. Retrieved 14 March 2013. Oxford University Press (1983). "Hart's Rules for Compositors and Readers at the University Press, Oxford" (Thirty-ninth ed.). Oxford Editorial. Retrieved 24 May 2010. Payne, Donald R. (1967). "Readability of Typewritten Material; Proportional Versus Standard Spacing". The Journal of Typographic Research. 1 (2): 125–136. Public Works and Government Services of Canada (2010). "The Canadian Style Online". Public Works and Government Services of Canada, The Translation Bureau, The Government of Canada's terminology and linguistic data bank TERMIUM-Plus. Retrieved 26 April 2010. Publications Office of the European Union (24 July 2008). "Interinstitutional Style Guide". Europa. European Union12 May 2010. Real Academia Española (2001). "Diccionario de la Lengua Española de la Real Academia Española". Real Academia Española. Retrieved 20 April 2010. Rhodes, John S. (13 April 1999). "One Versus Two Spaces After a Period". Webword.com21 March 2010. Ritter, R. M., ed. (2003). Oxford Style Manual. Oxford: Oxford University Press. 1033 pages. ISBN 0-19-860564-1. Rollo, Lindsay (1993). "Words and Images in Print and on Screen" (PDF). SET: Research Information for Teachers. Retrieved 10 February 2010. Rosendorf, Theodore (2009). The Typographic Desk Reference (1st ed.). New Castle, Delaware. 152 pages. ISBN 978-1-58456-231-3. Rosendorf, Theodore (2010). "The Double Space Debate". Type Desk. Retrieved 23 March 2010. Rusch, Kristine Kathryn; Smith, Dean Wesley (1990). Science Fiction Writers of America Handbook (1990 ed.). Writers Notebook Press. Russin, Robin U.; Downs, William M. (2003). Screenplay, Writing the Picture. Silman-James Press. 483 pages. ISBN 978-1-879505-70-4. Ryder, John (1979). The Case for Legibility. London: Bodley Head. ISBN 0-370-30158-7. Sabin, William (1985). The Gregg Reference Manual (6th ed.). New York: McGraw-Hill. ISBN 0-07-054399-2. Sabin, William (2005). The Gregg Reference Manual (10th Spiral-bound ed.). New York: McGraw-Hill. 688 pages. ISBN 978-0-07-293653-7. Sambuchino, Chuck; The Editors of Writer's Digest Books (2009). Formatting and Submitting your Manuscript (3rd ed.). Cincinnati, OH: Writer's Digest Books. 324 pages. ISBN 978-1-58297-571-9. Scales, Alice Y. (2002). "Improving Instructional Materials by Improving Document Formatting" (PDF). ASEE Southeast Section Conference. Retrieved 10 February 2010. Schriver, Karen A. (1997). Dynamics in Document Design. New York, Chichester, Brisbane, Toronto, Singapore, Weinheim: John Wiley & Sons. 592 pages. ISBN 0-471-30636-3. Sheerin, Peter K. (19 October 2001). "The Trouble With EM 'n EN (and Other Shady Characters)". A List Apart. A List Apart Magazine17 May 2010. Shushan, Ronnie; Wright, Don (1989). Desktop Publishing by Design. Redmond, WA: Microsoft Press. ISBN 1-55615-134-9. Smith, Laurie (8 July 2009). "Don't Date Yourself by Using Two Spaces after a Period in Your Resume!". Executive Resumes and Career Transition Strategies: Reflections of an Executive Resume Writer. Creative Keystrokes Executive Resume Service30 March 2010. Spiekermann, Erik; Ginger, E.M. (1993). Stop Stealing Sheep & Find Out How Type Works. Mountain View, CA: Adobe Press. ISBN 0-672-48543-5. Squire, Victoria; Willberg, Hans Peter; Forsmann, Friedrich (2006). Getting it Right with Type. London: Laurence King Publishing. 176 pages. ISBN 978-1-85669-474-2. Stevenson, Jay (2005). The Pocket Idiot's Guide to Grammar and Punctuation: A Handy Reference to Resolve All Your Grammatical Problems. Alpha Books. 208 pages. ISBN 978-1-59257-393-6. Straus, Jane (2009). The Blue Book of Grammar and Punctuation: An Easy-to-Use Guide with Clear Rules, Real-World Examples, and Reproducible Quizzes (10th ed.). San Francisco, CA: Jossey-Bass. 176 pages. ISBN 978-0-470-22268-3. Strizver, Ilene. "Double Spaces Between Sentences ... Not!". U&lc: Upper and Lowercase Magazine Online: Issue 41.1.1. International Typeface Organization and Monotype Imaging. Retrieved 31 March 2010. Strizver, Ilene (2010). Type Rules: The Designer's Guide to Professional Typography (3rd ed.). New Jersey: John Wiley & Sons. ISBN 978-0-470-54251-4. Strumpf, Michael; Douglas, Auriel (2004). The Grammar Bible. New York: Holt Paperbacks. 512 pages. ISBN 978-0-8050-7560-1. Strunk, William; White, E.B. (2008). The Elements of Style (50th Anniversary ed.). Longman. 128 pages. ISBN 978-0-205-63264-0. Style Manual Committee Council of Science Editors (2006). Scientific Style and Format: The CSE Manual for Authors, Editors, and Publishers (Seventh ed.). Reston, VA: The Council. 658 pages. ISBN 0-9779665-0-X. Taggart, Caroline (2009). My Grammar and I: Or Should that be "Me"?. London: JA Wines. ISBN 978-1-60652-026-0. Tinker, Miles A. (1963). Legibility of Print. Iowa: Iowa State University Press. ISBN 0-8138-2450-8. Tinker, Miles A. (Summer 1966). "Experimental Studies on the Legibility of Print: An Annotated Bibliography". Reading Research Quarterly. International Reading Association. 1 (4): 67–118. JSTOR 747222. Trottier, David (2005). The Screenwriter's Bible: A Complete Guide to Writing, Formatting, and Selling Your Script (4th ed.). Los Angeles: Silman James Press. ISBN 1-879505-84-3. Truss, Lynn (2004). Eats, Shoots & Leaves: The Zero Tolerance Approach to Punctuation. New York: Gotham Books. p. 25. ISBN 1-59240-087-6. Turabian, Kate L. (2007). Booth, Wayne C.; Colomb, Gregory G.; Williams, Joseph M., eds. A Manual for Writers of Research Papers, Theses, and Dissertations (7th ed.). Chicago: University of Chicago Press. ISBN 978-0-226-82337-9. Unicode (2009). "Unicode Standard Annex #14: Unicode Line Breaking Algorithm". Unicode Technical Reports. Unicode. Retrieved 17 May 2010. United States. (16 September 2008). "U.S. Government Printing Office Style Manual". United States Navy. "U.S. Navy Style Guide "Punctuation"". Retrieved 17 January 2010. University of Chicago Press (1911). Manual of Style: A Compilation of Typographical Rules Governing the Publications of the University of Chicago, with Specimens of Types Used at the University Press (Third ed.). Chicago: University of Chicago. ISBN 1-145-26446-8. University of Chicago Press (2003). The Chicago Manual of Style: The Essential Guide for Writers, Editors, and Publishers (15th ed.). Chicago and London: University of Chicago Press. ISBN 0-226-10403-6. University of Chicago Press (2007). "One Space or Two?". Chicago Manual of Style Online. University of Chicago Press. 984 pages. Retrieved 8 February 2010. University of Chicago Press (2010). The Chicago Manual of Style: The Essential Guide for Writers, Editors, and Publishers (16th ed.). Chicago and London: University of Chicago Press. ISBN 978-0-226-10420-1. Walsh, Bill (2004). The Elephants of Style: A Trunkload of Tips on the Big Issues and Gray Areas of Contemporary American English. New York: McGraw Hill. 238 pages. ISBN 978-0-07-142268-0. W3C (24 December 1999). "9.1 White Space". HTML 4.01 Coding Specification. W3C17 May 2010. W3C (24 December 1999). "24.4 Character Entity References for Markup-Significant and Internationalization characters". HTML 4.01 Coding Specification. W3C17 May 2010. Weiderkehr, Sarah (30 July 2009). "On Two Spaces Following a Period". American Psychological Association29 January 2010. Wershler-Henry, Darren (2005). The Iron Whim: A Fragmented History of Typewriting. Ithica and London: Cornell University Press. ISBN 978-0-8014-4586-6. Wheildon, Colin (1995). Type and Layout: How Typography and Design Can Get your Message Across – Or Get in the Way. Berkeley: Strathmoor Press. 248 pages. ISBN 0-9624891-5-8. Wide Spacer (2014). "One or two spaces after a period? How about three?". Wide Spacer blog. Retrieved 19 March 2014. Williams, Robin (1995). The PC is Not a Typewriter (1st ed.). Berkeley, CA: Peachpit Press. 96 pages. ISBN 978-0-938151-49-4. Williams, Robin (July–August 1995). "Thirteen Telltale Signs" (PDF). Adobe Magazine. Adobe. Retrieved 10 February 2010. Williams, Robin (2003). The Mac is Not a Typewriter: A Style Manual for Creating Professional-level Type on Your Macintosh (2nd ed.). Berkeley, CA: Peachpit Press. 96 pages. ISBN 0-201-78263-4. "Writing Tips: Spacing (1)". Writer's Block. NIVA Inc. May 2009. ISSN 1488-4801. "Writing Tips: Spacing (2)". Writer's Block. NIVA Inc. June 2009. ISSN 1488-4801. Manjoo, Farhad (13 January 2011). "Space Invaders: Why You Should Never, Ever Use Two Spaces After a Period". Slate.com. Washington Post. McArdle, Megan (14 January 2011). "You Can Have My Double Space When You Pry it From My Cold, Dead Hands". Atlantic. Atlantic Monthly. Okrent, Arika (2 October 2013). "How Many Spaces Should There Be at the End of a Sentence?". Mental Floss. Rhodes, John S. (13 May 1999). "One Versus Two Spaces After a Period". WebWord.com. Typophile (2011). "Double-spacing After Periods". Typophile. Punchcut. Barrett, Mark (19 January 2011). "Two Spaces After a Period". Typophile. Ditchwalk.